Home Prices Falling: When Will They Bottom? Lots of real estate data to cover this month so it is a good time to review where we stand in the short term. 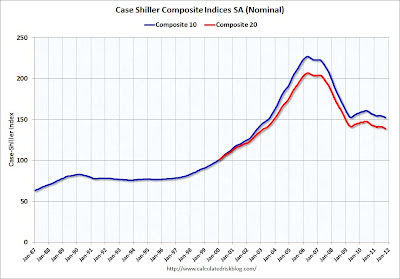 The Case Shiller Index just announced that October prices were down 1.2% month over month. The index is down 3.4% year to date and down 32.1% from the peak in 2006. New home sales surprised to the upside this month rising to an annual rate of 315,000. The majority of the construction is coming from the multi-family sector (apartments). The graph below shows the starts going back to the 1960's and clearly shows that the industry remains in the trough of a depression. Core Logic provided the important update on shadow inventor through October showing that there are currently 1.6 million homes over 90 days delinquent, in foreclosure, or Real Estate Owned (REO) that are not listed on the market (held on the banks books in the shadows). The following graph shows this enormous mountain that is slowly working its way lower as banks finally begin to slowly put homes for sale. Years ago when I was writing about the the housing market I felt that before the market had bottomed the stigma from being a renter would be removed and there would be a stigma around being a home owner. The process has taken much longer than I expected and is still not complete, but I came across an article this morning titled "America Becoming a Nation of Renters." With U.S. unemployment at a lofty 8.6 percent, home foreclosures rising and property prices under pressure, more and more Americans have given up the dream of owning, opting instead to rent, a shift that is remaking the face of the U.S. housing industry. 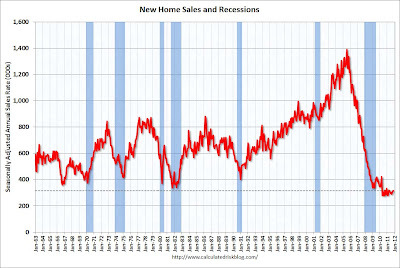 I have said when we reach the point when Americans feel that "they never want to own a home again," a message that is strong within the under 30 group who have only known falling prices since leaving college, it will market the point when it is time to buy. 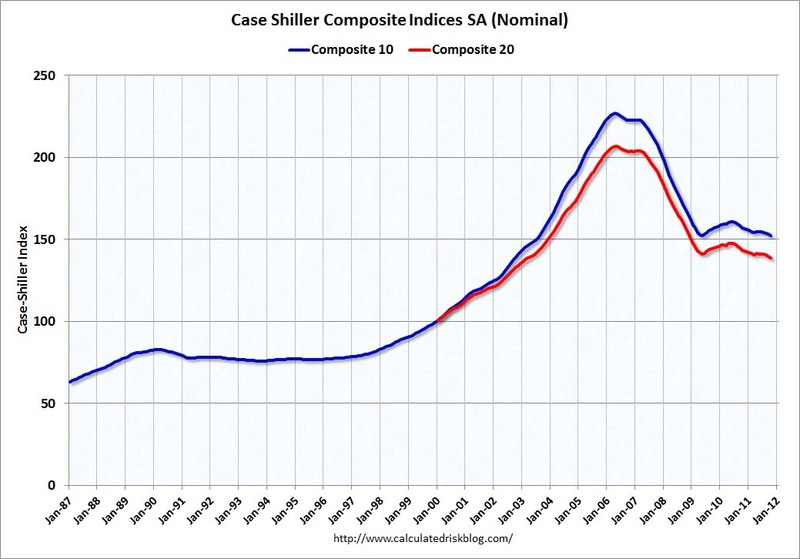 We are far closer to the bottom of the real estate market than the top. As the last swell of inventory enters the market, interest rates begin to rise, and pessimism toward home ownership reaches a crescendo, prices will make their last major fall downward. Then it will be time to enter the market and get your piece of the American dream.